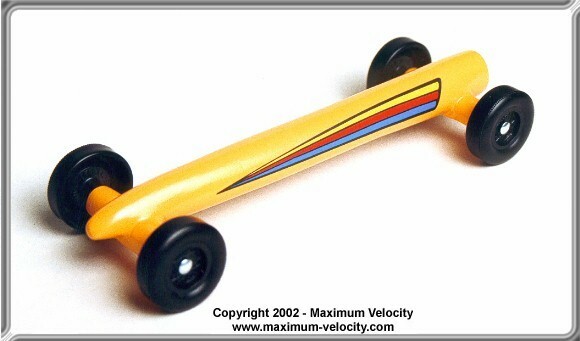 Years ago I made a few pinewood derby cars shaped like a rocket. Since then, many times I have been asked if the car body was shaped on a lathe? I tell them that the car was hand shaped from a pinewood derby block, and then have to convince them that I serious. 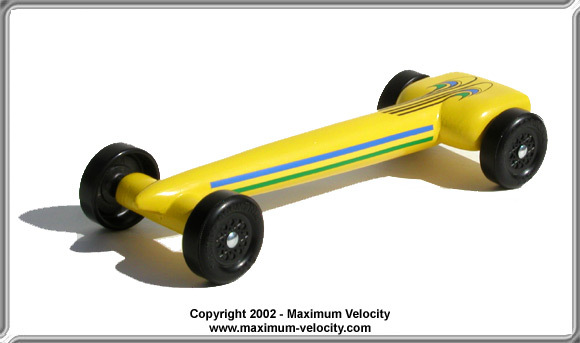 The Missile – Extended WheelbaseHow did I make these pinewood derby cars? Find out in Pinewood Derby Times Volume 11, Issue 7.